Changes in technology mean nothing if users are not adopting them. Not only have brands in the past two decades seen consumers adapt new technologies at a rapid pace, they have also witnessed a shift in traditional interaction and engagement points – from traditional to digital. 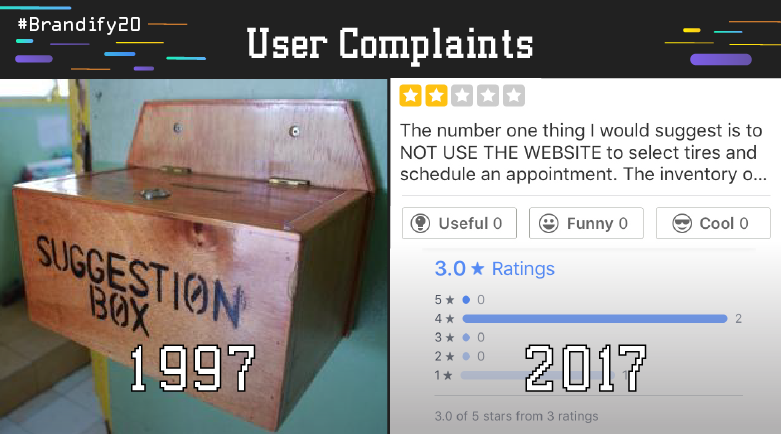 When mom and pop businesses were frequent and fancied by customers, leaving suggestions or feedback wasn't as simple as dropping a review, check-in or star rating. The fabled suggestion box was a commonly accepted way for brands to take feedback and complaints into consideration periodically. While the benefit of a suggestion boxes or in-person complaints were that they prompted face-to-face conflict resolution, only die hard customers would take the initiative to drop a comment. Today, immediacy of receipt of customer complaints shows the internet's newfound dedication to putting brands in the spotlight for their rights and their wrongs. Yelp in particular, which was founded by Paypal veterans in 2004, served as a primary example for the possibilities for individuals to reflect, express and confront their concerns to brands in a more constructive way. While SEO has narrowed its focus on review response for brands, experts at the company note that brands can truly go the extra mile if complaint response on the channel becomes a core enterprise strategy. FUN FACT: Yelp recently named Brandify as a claiming and knowledge partner of Yelp, providing large-scale brands a more seamless location data update experience. It may be a stretch to say, but gone are the days when individuals would take a seat at their work station or desk to write a note or message by hand. 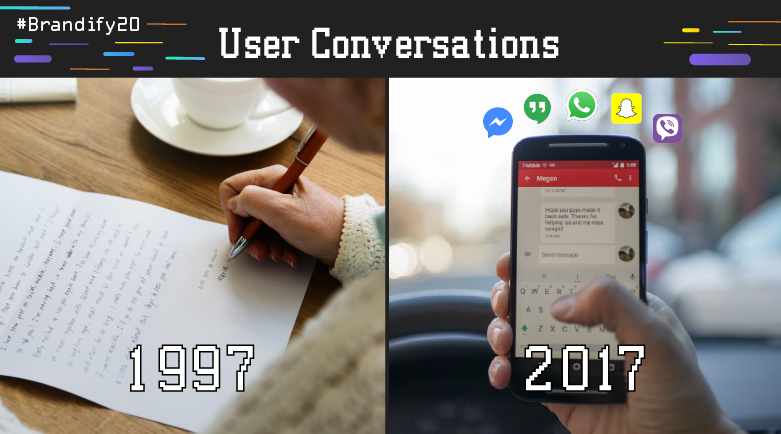 The concept of "snail" conversation– t letters, notes or other hand-written technology was no longer the primary method of long-distance communication by the late 1990's, when AOL launched AIM (AOL Instant Messenger. The immediacy of LAN-based communication became of high interest to users everywhere, and unlocked the doors communication through both direct messages, and chat rooms. Today, a messaging interface is an integral UX component of most every social or communication-oriented mobile or desktop application. The reason for this is simple – individuals feel a personal connection through this interface. Whether it be a growing epidemic of GenZ and Millennials on Snapchat, or Facebook's 2B Messenger users globally, brands are finding innovative ways to develop this personal connection through automated messaging. FUN FACT: A year since its initial launch, Brandify Labs has launched its beta chatbot locator, a messaging interface for Facebook users to get location-based information through a simple messaging exchange with a brand's bot. Storage and memory have hardly ever been hot topics amongst users, but they are two of the most important ways for tech adopters to view and interact on digital interfaces seamlessly. In 1997, floppy disks and CD-RW'swere the best bet for individuals seeking to keep and update storage of documents with ease. 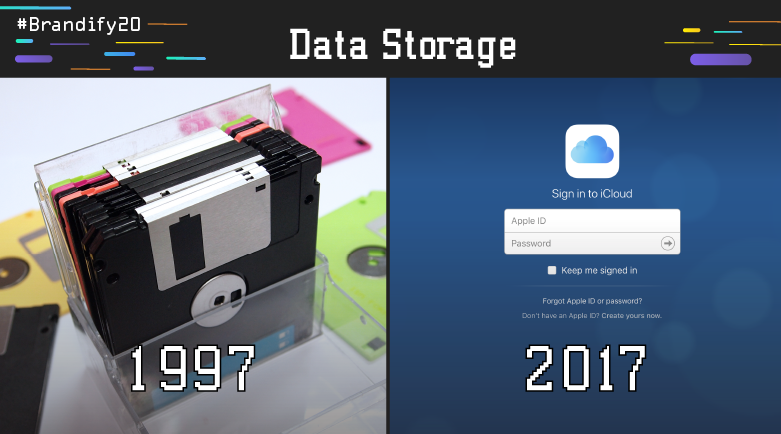 The transition took full force in the 2000's, when hard drives and memory cards gave people more storage in an even more accessible way ( as laptops began to standardize). Today, hard drives operate as the remote yet foundational elements of the acclaimed "cloud". Large-scale horizontal brands like Amazon are capitalizing on the cloud concept by offering cloud services for individuals looking to avoid traditional SaaS technologies like Dropbox. FUN FACT: Through its twenty years in business, Brandify clients have entrusted millions of points of location data. Brandify works in tandem with proprietary cloud facilities to ensure that this data is as clean, updated and refreshed as possible for real-time searchers. When television and personal computers were competing head to head to offer the most-used communication interface to customers, billboard and and print advertising were king. The auto industry served as the main cause for this, making outdoor advertising a common and lucrative way to ensure brands were gaining exposure. But when computers beat out television, search and social slowly became the primary focal points for individuals, who were undoubtedly becoming averse to billboards. To monetize off of these channels, search and social channels like Google and Facebook began offering opportunities for virtual advertising. Today, we see that every main social network has advertising at its core for market valuation– and brands with the budgets to make the switch should be paying to play in connecting with consumers on these new focal points. FUN FACT: Snapchat was the talk of the industry in 2017 for its increase in ad-serving opportunities. The first of which is geofiltering, which Brandify offers to help brands advertise in real time to a highly targeted location and group of individuals. 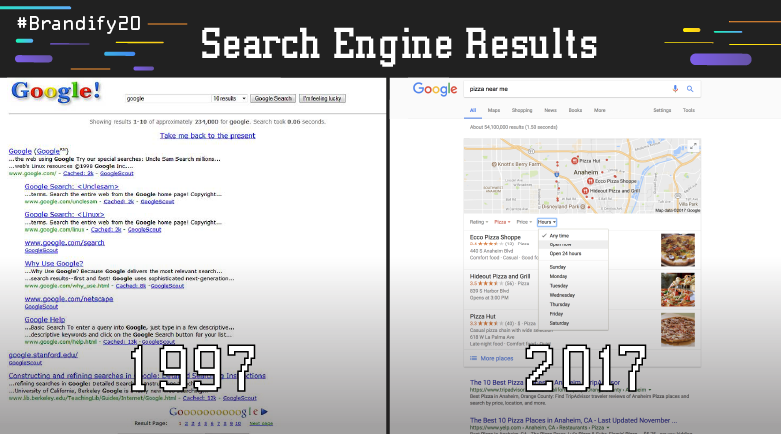 The success of Google's crawlerbots and search engine results page can not be denied looking back twenty years. The simplistic layout delivered a leveled playing field for websites listed on page one. But moreso, search engine optimization per Google's search algorithm is one of the most important considerations for brands doing digital marketing to this date. In 2015, Google introduced once SEO-related concept that is changing the way marketers approach local search today – accelerated mobile pages (AMP). AMP has taken the concept of mobile optimization to the next level, ensuring that search results diplay the most quick-loading pages that offer the most rich and immediately necessary information. For enterprises looking to level up their approach in SEO compared to the heydays of search, AMP optimization is the answer. FUN FACT: At Brandify VP Product Damian Rollison recently presented on the possibilities of search optimization for multi-location brands through the use of AMP-centric tactics. A Brandify client found 21% increase in customer actions thanks to implementation of AMP tactics in 2017. 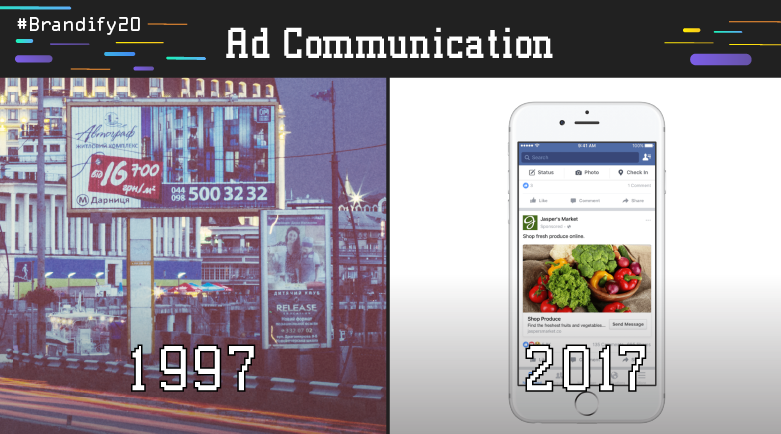 Are you keeping up with the Brandify 20 Year Anniversary series on Social? Share your throwbacks of Digital in the past years with us by using #Brandify20 on Twitter! Social Media Specialist at Brandify. Home is where the Wifi is.